We've lots of counting resource on a food and drink theme to help young children get to grips with number. Start the kids counting their fruit with the first of three fruit counting worksheets! Count the number in each row and write the number in the box on the right. Have some fun with this fruit counting worksheet. How many oranges, bananas, apples, pineapples, strawberries, and pears? Our fruit counting worksheet 3 is the trickiest! We ask children to identify and count each type of fruit, then write their answer in the boxes. 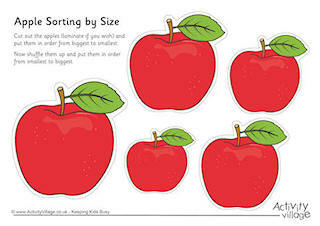 This sequencing worksheet asks little ones to work out what fruit comes next in each sequence. Why not laminate the worksheet and use our fruit patterns tiles (also laminated) so that you can get repeat use out of this fun worksheet. Can the kids work out which type of fruit should be next in each of the patterns on this worksheet? Use our fruit patterns tiles or draw in your own. We all know that we should be eating 5 servings of fruit and veg a day - but can the kids count the veg on our third vegetable counting worksheet? Write the answers in the boxes.